As it is estimated that cars spend roughly 95% of their time with no one in them, no smart traffic system would be complete without some understanding of how to manage parking better. According to Transport for London, cars take up 19% of street space but account for just 11% of journey distance. By comparison, buses take up only 11% of street space, but account for 57% of journey kilometres. INRIX suggests that time spent parking, including finding a space and paying for it, costs around £1.9bn in London a year. There are undoubtedly issues about making the transition to cashless, digital parking and kerbside management - including accessibility - but technology and app solutions are well on the way to hastening the move. One tech company making progress in this area is Passport - a mobility software platform, which provides a range of service including mobile payment, real-time analysis. Backed by multi-million pound investments, and already operating across America and the UK, Passport has already built a strong relationship with the UK's toughest and most lucrative parking area - Westminster City Council. Passport started working with Westminster in 2017 to provide the ParkRight application, which takes payments and provides real-time parking information from sensors in over 3,000 pay-to-park and blue badge disabled bays in the west end and the location of 41,000 spaces. 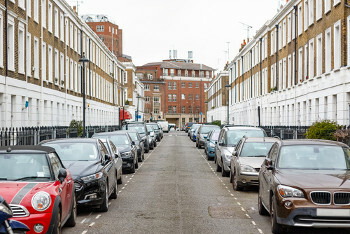 The app also provides emission-based charging - diesel vehicles manufactured before 2015 have to pay a surcharge when parking in the Marylebone Low Emission Neighbourhood (LEN). The results have seen a decrease of 16% in the amount of older vehicles parking n the LEN, meaning that over 250,000 of the most polluting vehicles per annum have been moved from the kerbside. As part of efforts to break out into the wider UK, Passport conducted two studies - one polled 1,000 UK motorists and the other polled 50 council workers employed within parking departments. The report introduces why the concept of dynamic kerbside management and makes the case for it addressing key issues such as congestion, air pollution, customer needs and urban mobility drivers such as moves to micro-mobility. Mobile payments mean less walking and higher turnover, it argues as was as dynamic pricing better management of space and mutli-mode as well as ad ons such as chashless tolling, digital permits and mobile ticketing in transit. Passport argues: 'A closer relationship between citizens and councils would be profoundly valuable. Technology has a vital role to play - helping to facilitate a better connection between city hall, private organisations and constituents. Joseph Al-Hajeri - engineering associate for parking enterprise Austin City Council, said: 'Since adopting the Passport platform we've seen real progress in our approach to traffic management. 'We're now able to truly understand who is parking and how we're best able to serve them. By using heat mapping and smart signals, we've progressed beyond our immediate goal - to simply implement a pay by phone app and moved into the realm of understanding big data and how to interpret it.